BALTIMORE (CNS) — The U.S. bishops gave their support to advancing the cause of Father Paul Wattson, a onetime Episcopal priest who joined the Catholic Church more than a century ago along with the members of the Society of the Atonement, which he co-founded. The support, which came on a voice vote without audible dissent, was given Nov. 11, the second day of the bishops’ annual fall general assembly in Baltimore. Father Wattson, whose father was himself an Episcopal priest, was ordained as an Episcopal priest in 1886, according to Auxiliary Bishop John J. O’Hara of New York, in remarks to the bishops prior to the vote. The Society of the Atonement, made up of the Franciscan Friars of the Atonement and the Franciscan Sisters of the Atonement, has its headquarters in Graymoor, New York, which is in the New York Archdiocese. Father Wattson saw the need for both a Franciscan spirituality in the Episcopal Church and a way to serve the poor, Bishop O’Hara said. A third need arose before the end of the 19th century: “Repair the breach in a divided church,” Bishop O’Hara said. Father Wattson established Graymoor in 1899. Simultaneously, an Episcopalian friend and a novice, Lurana White established the Sisters of the Atonement. In 1903, Father Wattson started the Church Unity Octave. Now more commonly known as the Week of Prayer for Christian Unity, it “continues to this day,” Bishop O’Hara said. The week is observed each January. 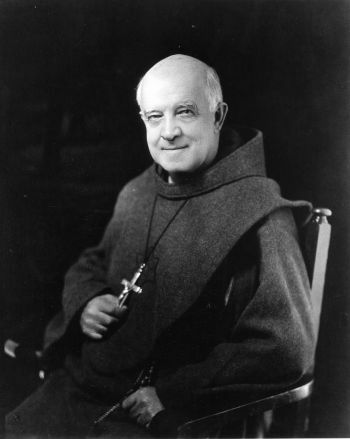 In 1909, Father Wattson was received into the Catholic Church, bringing with him the Franciscan Friars of the Atonement and the Sisters of the Atonement. He was ordained a Catholic priest in 1910. Part of the canonization process requires that a diocesan bishop seek the opinion of at least a regional conference of bishops on the appropriateness of opening a cause. The U.S. bishops were similarly consulted on the sainthood cause of Catholic Worker co-founder Dorothy Day and they endorsed the cause at their fall meeting in 2012.